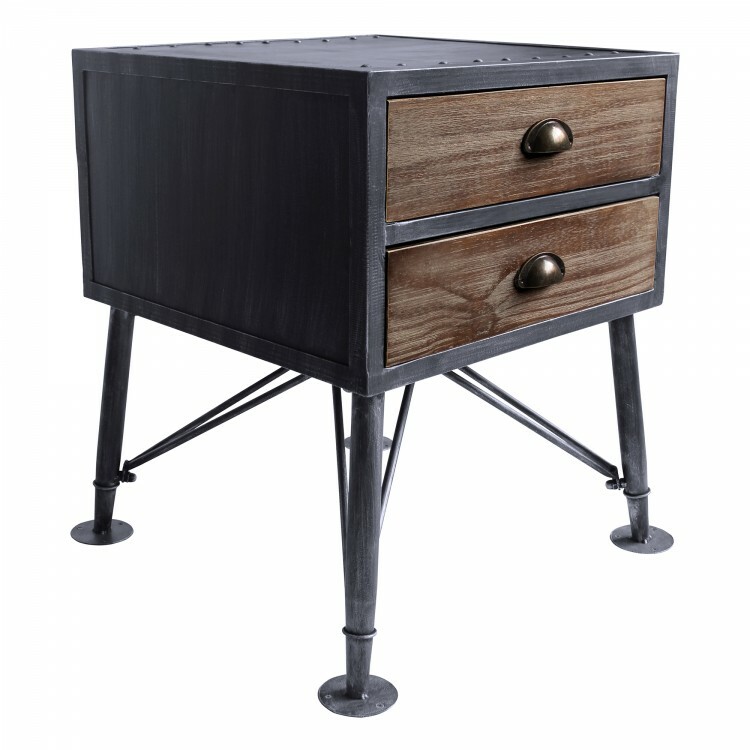 The Armen Living Mathis industrial 2 drawer end table is a terrific choice for the contemporary household. 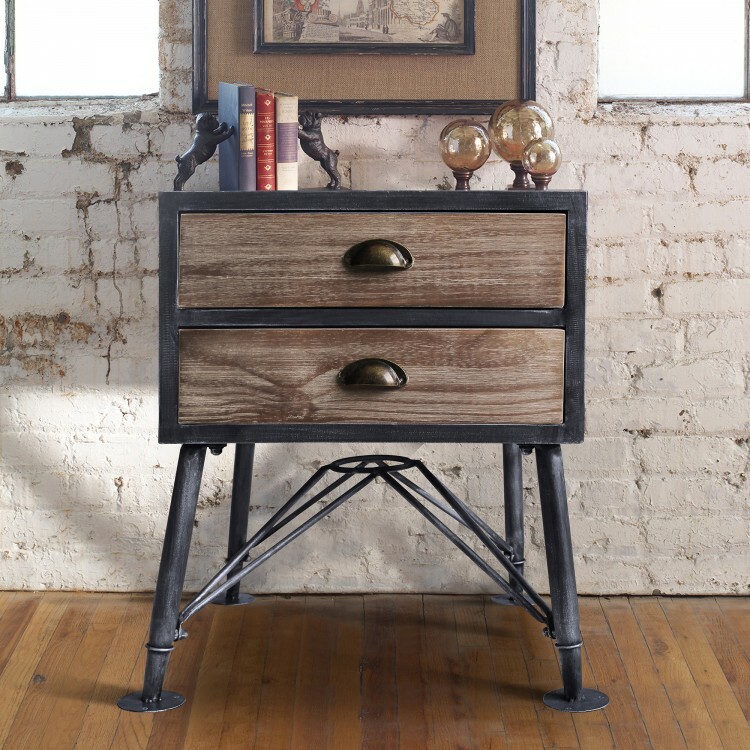 The Mathis’s durable Industrial Grey metal frame is complemented by its sturdy pine wood drawers. 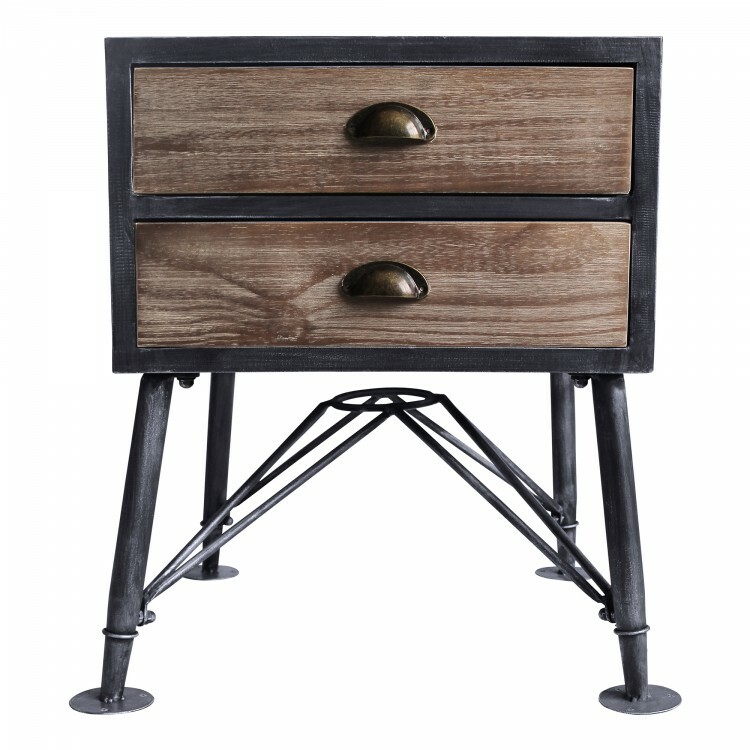 The drawers feature downturned metal handles for easy use and are perfect for storing late night reading materials. 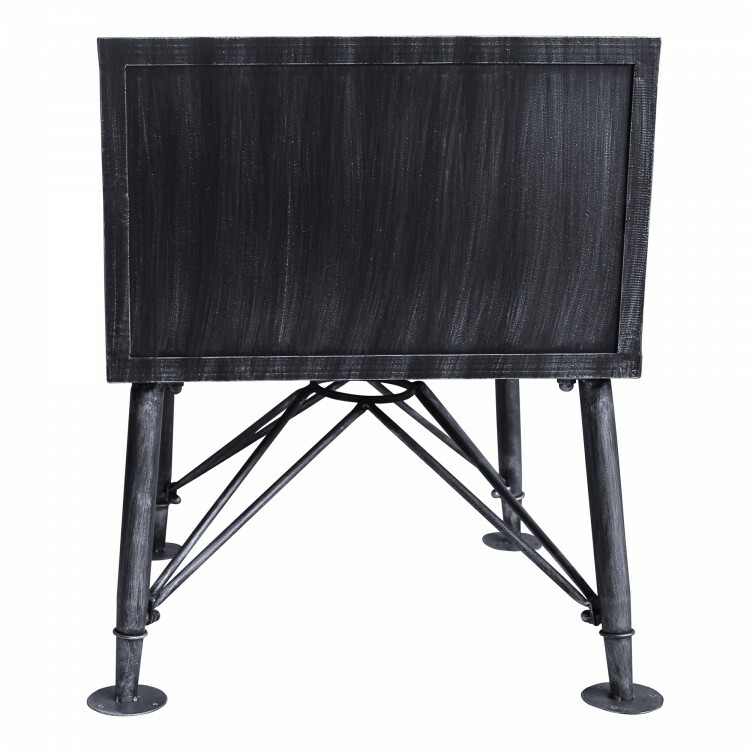 The Mathis’s top provides an excellent surface for tea cups or bedside lamps. 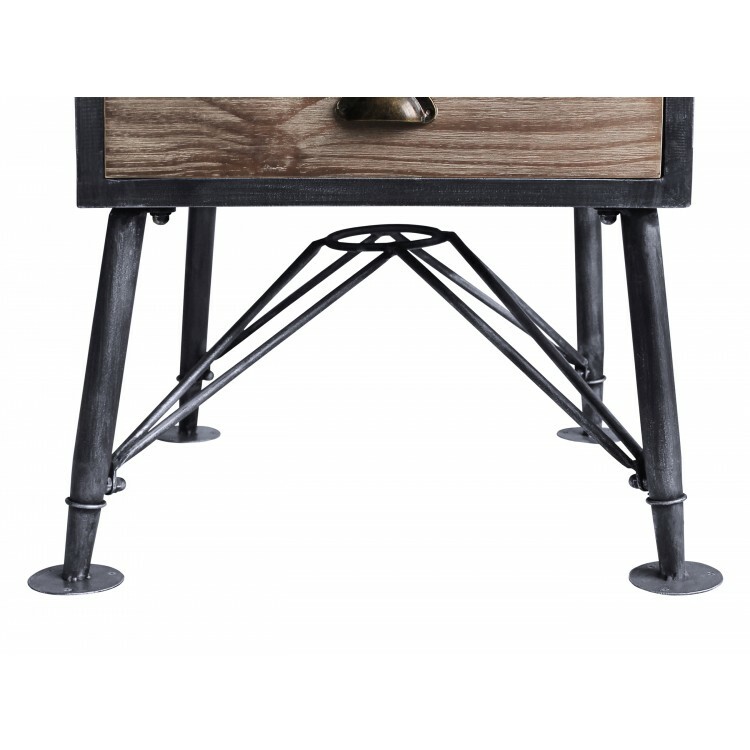 The unique base of this modern end table features a four leg design that is certain to invite attention. 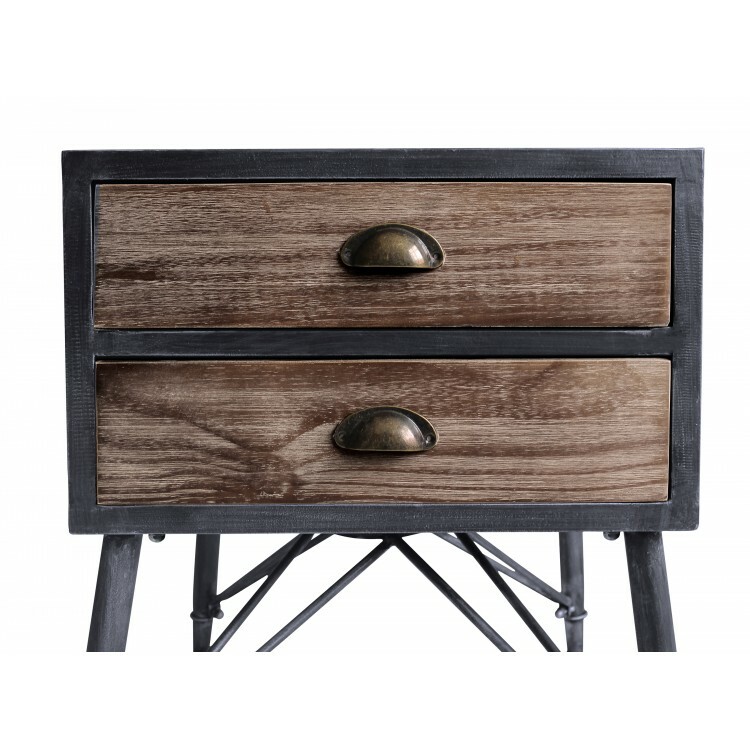 The beautiful Mathis is perfect when paired with any Armen Living bed and is ideal for the bedroom. The Mathis comes assembled.